The Directors of Leeds Fans Utd give notice of the closure of the offer to subscribe for shares of Leeds Fans Utd Community Benefit Society Ltd. The offer will close at 9:00 am on 31st December 2018. This means that no further applications for shares under the terms of that offer will be accepted after closure. The offer was launched in April 2015 to fund a purchase of a stake in Leeds United Football Club. Leeds Fans Utd continues to pursue the goal of a stake in the club for fans and will issue a progress report by the end of the year. Angus opened with a clear statement that both he and Andrea remain open to discussing fan involvement in Leeds United and explained his own thoughts on fan ownership and how having fan investment, if structured correctly, could benefit the club. He continued to talk conversationally and expanded on subjects, rather than giving a “prepared statement” sort of answer to each question. Having been a senior figure in football for over a decade Angus said he has seen the impact of ‘bad ownership’ at other Clubs and understands that having fans properly involved in the running of the club can lead to a positive outcome. He talked about how Leeds United views the importance of everyone being ‘Together’ and that the club works best when absolutely everyone is united – the team, management, owners, fans and staff – and how fan ownership is potentially one way to facilitate this feeling of togetherness. Angus views the fans as crucial to the success of Leeds United, hence being open to exploring the option of fan investment. Angus spent time explaining how he had set up the attempt to expand fan ownership at Arsenal and how much value he had got from having fans as critical friends and allies. Angus talked about how meetings between the club and LFU have progressed since last summer, from the early stages of understanding LFU’s proposals to getting into higher levels of detail and being prepared for different possible scenarios. He explained how LFU’s plans have developed to a point where the decision on next steps sits with the club now, and reiterated the need for LFU to continue to be flexible and creative – meetings have taken place regularly and continue to do so and this matter is being taken seriously. The subject of a fan on the board has come up many times in discussion between LFU and the club, and this is one area that needs further consideration. LFU has looked at many different models of how fan representation can work in a situation where there is a financial stake, and considered how we could set a fan rep for success. Angus agreed that the fans need a voice at the right level but Board membership has its challenges, particularly around accountability and a working model that allows the club’s board of directors to enact its day to day business while fans are involved in longer term policy, needs to be carefully detailed. We talked about the benefits of an external / overseas investor vs bringing in investment from the fans and Angus made it clear Andrea Radrizzani has no plans to concede a majority share in the club, so the decision to do a deal with LFU is his alone and therefore wouldn’t be impacted by another source of investment. If a minority equity investment were to be successful it would be critical for the investor to be aligned to the values of and vision for Leeds United. This naturally places fan investment led by LFU very well. In referring to BadgeGate, Angus explained how the events showed the depth of loyalty of fans to the club and its traditions. He understood why LFU was keen to enshrine certain Heritage or Legacy issues into a formal long-term right for fans. Angus went into more detail around what fan investment might be spent on. LFU has said that it wants any investment to be spent on something that has a long-term benefit to the club, and something meaningful for all fans. Academy investment and a longer-term involvement into the plans around development closer to the city centre is something that we have been discussing. The key to advancing discussions is dependent on LFU providing further confidence on the magnitude of investment. LFU explained that we have mapped out where and how these sums would come from and that Angus said that raising half a million pounds in the circumstances was extraordinary and gives the club confidence that higher sums can be raised. Angus said the club and LFU will continue to talk on a regular basis. Both sides acknowledge that there are still details to be agreed but that in talks so far we have identified problems and worked them through satisfactorily and Angus said he expects that to continue. In a final question from the floor, Angus was asked whether he thought significant progress could be made this year and answered simply “Yes I do, I wouldn’t be here if I didn’t”. He said that the LFU Board is top quality and they give him confidence that LFU can deliver. LFU thanks Angus for his time and clarity in explaining many items concerning the club and negotiations with LFU and we thank all our members for your continued support. We have received various questions from members for the LFU Board to answer and we present the answers here. 1. Can I get my money back? There is no provision for money to be taken out at will. The Offer Document details what we can and cannot do. This document highlights the legal rules and restrictions we operate under (the relevant law is the Co-operative and Community Benefit Societies Act 2014) and we are unable to vary this. The two scenarios that allow us to return money are that either we get a deal to buy shares in the club, or the CBS decides to close and return all the money. At this moment in time neither of these scenarios have happened so the lawyers are unable to release the money they hold. The LFU Board has not received nor has access to the money. The law covering the Society does allow for you to make an application for the 10% money that has been released to LFU, and for which you have received Community Shares, to be withdrawn when the Society has earned a surplus, and the Offer Document makes it clear that it may be a long time before a return could occur. If we become in a position to return money we are able to include a small interest rate but this is not guaranteed and will depend on circumstances at the time. 2. How long does the board consider it acceptable to continue before they take the decision to close and return the money? We did a poll of members in 2016 and 86% of people did not want their money back. Given the club has changed owners since then, and particularly in light of the fact that the club has indicated that fan ownership is something they would consider, we need to allow ourselves sufficient time to pursue this on our members’ behalf. However, the current LFU directors have voted to make the 90% monies available for return if no deal has been agreed by the end of this year at the latest, or earlier if negotiations cease. 3. How many people have asked for their money back? Since we started selling shares in LFU, we have had members occasionally enquire about getting their money back – 50 people in total. Of those 50, 15 have responded to our explanation of why we can’t return their money to tell us to continue. So we have 35 people out of 2100 wanting their money back, which represents less than 2% of the total shareholders. 4. What are the current expenses being taken each year? What are the expenses of individuals in managing the fund, please break this down to individuals and what expenses they claimed for each tax year? No one has claimed any expenses or taken a salary since Leeds Fans Utd started. 5. Is there independent financial advice being given to make sure the funds are growing? The idea behind members sending their funds directly to our lawyers was security of those monies. Our lawyers do not offer any investment options with their Escrow account and for LFU to remove that money and gamble it on the financial market was seen as contrary to the principal of maximal security of funds. LFU is run by volunteers and we do not have the skills to invest without risk to members’ money. 6. Has any individual member been successful in withdrawing their investment since the inception of the scheme? No one has withdrawn their investment. LFU does not have the power to order the lawyers to allow such a withdrawal from their Escrow account and LFU has not made a surplus from which to allow a withdrawal of Community Shares. 7. Are there any individual shareholders who hold greater than 10% of total shares in the scheme? 8. What is the current value of the scheme available for investment in the club? Leeds Fans CBS has £331,726 and Leeds Fans Utd Limited has £162,000 available. 9. When will be the next election of officials? What would the requirements be for this to occur? We held an election in January and notified all shareholders that two of the current executive were up for re-election. Philip Robinson and Howard Nelson were the two directors retiring and both indicated that they wished to stand again. We requested that any further candidates notify us should they wish to stand against them. No further candidates came forward so Mr Robinson and Mr Nelson were duly elected unopposed on January 24th. The next elections will take place in 2019. We have indicated to the Club that we would like the LFU investment to go into something meaningful and long term, rather than being spent on player wages for example. We also feel the money that we have already, in addition to any money from a future fund raise, be put towards something that has clear benefit to all fans rather than a few. 11. What have you done to increase the interest from Leeds fans to invest in the CBS? After the deal with Massimo fell through, we continued to work behind the scenes to work with potential new owners and investors. We then decided to do the shareholder vote as to whether or not we should continue, and just after that we were first made aware that Massimo was in early talks to sell a stake to Andrea Radrizzani. Given we knew that negotiations were ongoing, it didn’t seem like a sensible time to be trying to drum up support because we didn’t really have anything new to say. Rather we took the decision to wait and see how it all played out. Then Mr Radrizzani indicated fairly early on that fan ownership was something he would consider, so we took the decision to wait and give him a chance to get his affairs in order and sort out the priorities (i.e. on the pitch). We met with the club last summer and talks have been ongoing since then. Ultimately, we took the decision that this is a long term opportunity and trying to keep drumming up support was fairly futile in the short term with no new news – and importantly we felt that once an offer was on the table, that we were actively able to market in partnership with the club, then we’d be able to get the news out much wider. 12. Why has your communication been limited over the last 12 months? As a rule, we have tried to avoid talking for talking’s sake. When we have relevant new information we share it with shareholders first. We respond to all shareholder emails and aim to get quarterly updates out to them, but sometimes there’s very little that we can share. We’ve been talking to the club for a while now, and Angus agreed we could send out an update to shareholders late last year saying that we’re in talks and that the club thinks fan ownership could work. Ultimately though we can’t share confidential information and remain a credible negotiating partner. 13. Is there a possibility of implementing timescales to achieve goals so that shareholders can have it set in stone whether you have achieved your targets? This could be done by picking a date and seeing if you can negotiate a deal in that time. Then if you have been unsuccessful you can give a detailed breakdown on how the club reacted to the group and thus the shareholders are significantly more informed. The club will always be the ones to dictate the timescale. We have done all the necessary prep behind the scenes to be ready to go in any eventuality, and there’s been many meetings and significant amounts of man hours put in over the last nine months looking at various scenarios to ensure we have all bases covered. Given the club has demonstrated that they have an interest in making fan ownership happen, and against the backdrop of everything else that we can all see needs sorting out, we wouldn’t want to put a timescale in place and then miss it for reasons out of everyone’s control. 14. Is there an objective way to determine whether the shareholders should be given the opportunity to vote on the continuation of the CBS? We asked shareholders already if we should continue and the vote was a yes. If we haven’t achieved a stake for fans by the end of this year, and have at that time no immediate prospect of doing so, we’ll return the remaining 90%. Having discussed our plans with the club, seen their response and talked through what fan ownership could look like, we wouldn’t want to jeopardise what fan ownership could deliver in the long term just because of short term frustrations. 15. Why didn’t you speak up on behalf of the fans during BadgeGate or during the issues with season ticket pricing? 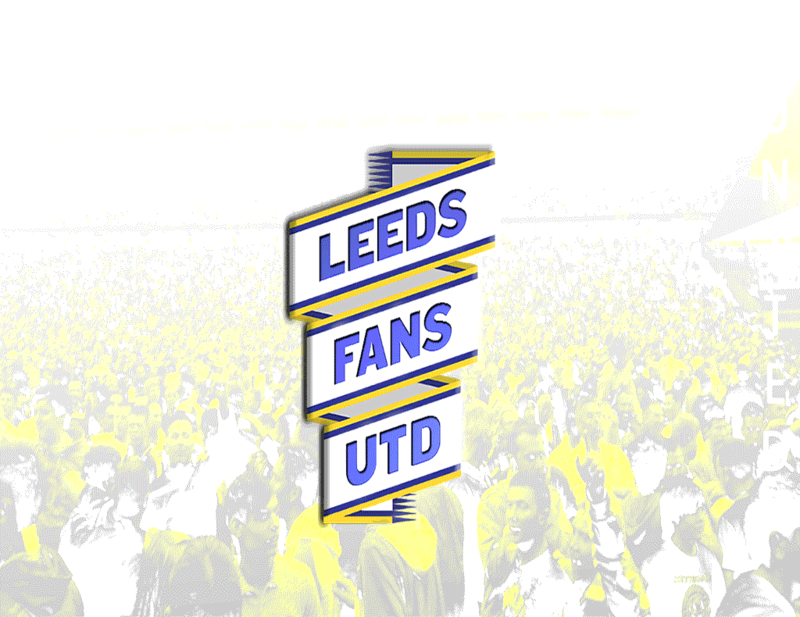 LFU is a single issue organisation looking to get fan ownership at Leeds United. We don’t yet represent the fans on wider matters. If we already had a fan ownership structure in place, where fans groups are consulted on heritage or legacy matters ahead of it going to a shareholder vote, then BadgeGate may have unfolded differently. Regardless though, the club is entitled to make its own commercial decisions on matters that impact the day to day running of the club and it’s not feasible that fans can be consulted on everything, however, with a formal and close fans’ relationship with the club we expect to be able to discuss and maybe vary matters such as ticket pricing before they get set in stone and announced in the press. LFU thanks you for your continued support. As per the last email, the Society has a legal need for two directors to retire and stand again for their posts should they choose to do so. Mr Philip Robinson and Mr Howard Nelson are the two directors retiring this time and both have indicated that they wish to stand again. The Society requested any further candidates to notify us should they wish to stand against them. No further candidates have come forward so I am able to announce Mr Robinson and Mr Nelson duly elected unopposed. I have received several requests from members recently for more information as to the negotiations with the club for fan ownership. I think you will have realised that Mr Radrizzani completes his negotiations in complete privacy and that ethos is now prevalent throughout the club, where matters such as transfers, contracts, commercial negotiations and financial matters are now carried out behind closed doors. I, for one, am pleased with this change that has shifted the club from being a circus that leaks stories at the drop of a hat to a club respected for its professionalism. You will know from the shareholders’ email sent out eight weeks ago that LF CBS is in negotiations with the club and subject to the same non-disclosure ethos – the recent shareholders’ email was a departure from that and made only with the express agreement of the club: The club allowed this because it recognises our members’ need for information as well as its own need for privacy. I hope the club will allow another update in coming weeks which will throw more light on the current situation.